Let’s find out! 3 Minutes could change all of our lives! 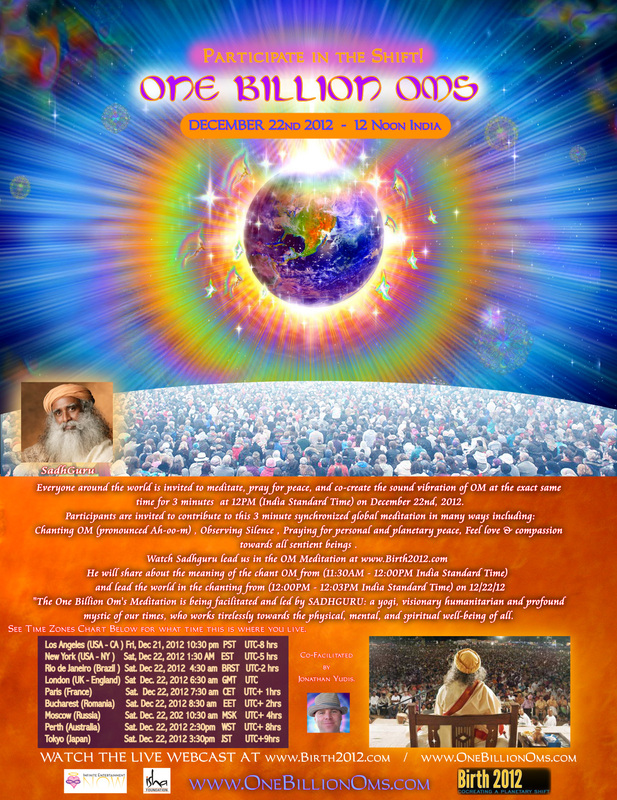 Everyone around the world is invited to meditate, pray for peace, and co-create the sound vibration of OM at the exact same time for 3 minutes (simultaneously around the world) on December 22nd, 2012.